Can you even remember the last time you looked at your smile in the mirror and saw a pearly-white half moon smiling back? Unfortunately, many of us have similar answers in the negative, as finding a perfect smile in today's sugared-out America has become like finding a diamond in the rough! But at Advanced Dental Arts, you'll find the exact answers you need for a crystal-clear smile that's as white as snow no matter what dental season your mouth is in! Because even if your teeth are yellow as the fall leaves, only the whitest smiles are allowed to leave the dentist's chair at Advanced Dental Arts! Aaron Schertzer, DDS, and his crew of expert dental technicians know the importance of bringing you a sunny grin all over again. One of the leading cosmetic dental techniques at Dr. Schertzer's disposal for enhancing the beauty of each row of teeth with teeth whitening procedures. 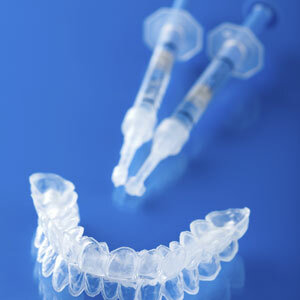 Teeth whitening has helped restore even the most stained and discolored teeth. 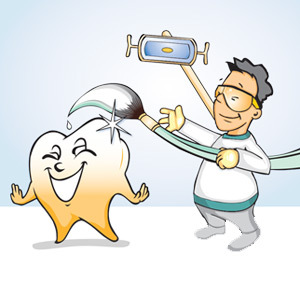 While there are some mildly-effective teeth whitening solutions offered over the counter in the form of products like whitening toothpastes, many of these options also have abrasive components that can actually eat away at your tooth's outer surface (known as your tooth enamel). But the professional whitening methods performed by Dr. Schertzer and the dental associates he trusts is both safer and more effective than over-the-counter options, as in-office whitening can keep your smile white and bright for a half decade or more! For more information on the teeth whitening solutions offered by helpful cosmetic dentists at Advanced Dental Arts, call(314) 892-2120 today and see for yourself why no smile deserves to be left out in the cold here in Oakville, MO!